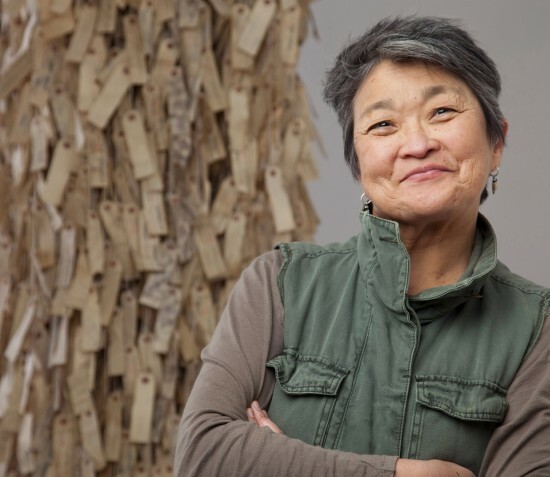 SAN DIEGO —The Old Globe is teaming with the Japanese American Historical Society of San Diego (JAHSSD) to present “Allegiance: A San Diego Perspective,” a museum exhibit about the Japanese American internment during World War II and how it affected San Diego County and its citizens. The exhibit, presented in conjunction with the world premiere of “Allegiance – A New American Musical,” will be located in the Museum of Man Annex adjacent to the Globe and will be open throughout the run of “Allegiance” until Oct. 21. The exhibit is free to the public and will be open two hours prior to each performance on Wednesdays, Thursdays and Fridays; from noon to 8 p.m. on Saturdays; from noon to 7 p.m. on Sundays; and from noon to 7 p.m. on Tuesdays as part of Balboa Park’s Free Tuesdays. “JAHSSD is delighted to offer a deeper understanding of the events depicted in ‘Allegiance – A New American Musical’ by sharing our collection of original artifacts relating to the San Diego internment experience,” added Linda A. Canada, president of JAHSSD. “Allegiance: A San Diego Perspective” contains maps, photographs, artwork and artifacts from the thriving Japanese American community in San Diego before the war and traces the removal of San Diego’s Japanese Americans to internment camps in 1942. The exhibit, which includes artifacts that have been donated by local Japanese Americans, also features a scale model of an internment camp room and a variety of furniture and objects made by internees. In addition, the exhibit highlights the important contributions of Japanese immigrants and Japanese Americans to San Diego. Exhibit volunteers include men and women who were interned as children, members of JAHSSD and representatives from The Old Globe. 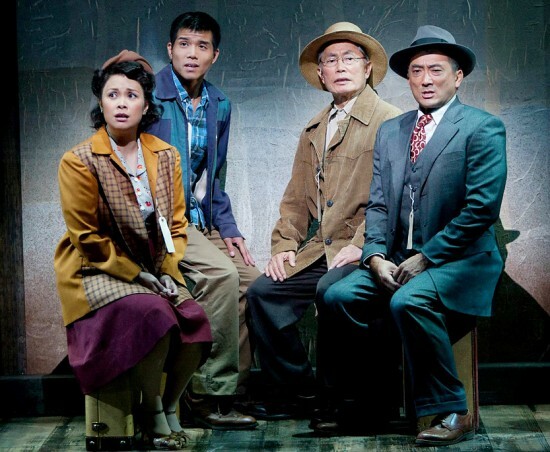 “Allegiance” tells the story of one Japanese American family’s struggles during the internment and stars television and film icon George Takei, who was imprisoned in the Rohwer and Tule Lake internment camps as a child. The musical also stars Tony Award-winning actress Lea Salonga and Broadway favorite Telly Leung. Tickets can be purchased online at www.TheOldGlobe.org, by phone at (619) 23-GLOBE, or by visiting the box office. The Old Globe will also present a portion of Wendy Maruyama’s large-scale art installation “The Tag Project” during the run of “Allegiance.” The project consists of 10 groupings of replicas of the historic identification labels issued to every internee, including their name, number and the camp to which they were relocated. Three of the groupings will be hung in the upper lobby of the Old Globe Theatre, part of the Conrad Prebys Theatre Center. Admittance to this art exhibit is included in the ticket price to “Allegiance” and is available for viewing 45 minutes prior to showtime. The installation is also included on the Globe’s Behind the Scenes Tours, which are available to the public on Saturdays and Sundays. Email [email protected] for more information or to book a tour. The Old Globe is located in San Diego’s Balboa Park at 1363 Old Globe Way. There are numerous free parking lots available throughout the park. Valet parking is also available for $10. For additional parking information, visit www.BalboaPark.org. More information on the show is available at www.allegiancemusical.com and the “Allegiance” Facebook page. A seminar series featuring a panel selected from the artistic company of the current show. Reception at 6:30 p.m.; seminar at 7 p.m. Free. Everyone is welcome at this pre-show mixer for the LGBT community. “Out at the Globe” features a hosted wine and martini bar, appetizers and desserts. Admission: $20 per person (in addition to your theater ticket). “Out at the Globe” takes place from 6:30 to 7:45 p.m. in one of the Globe’s special event venues, just steps away from your theater seats. Call (619) 23-GLOBE (234-5623) to purchase tickets or add “Out at the Globe” nights to your subscription. Discuss the play with members of the cast following the performance. Free. Discussion after the matinee performance only on Oct. 13. Former internees share their unique, first-hand perspective of the historical events that take place in “Allegiance.” Seminar at 7 p.m. in Hattox Hall. Free.